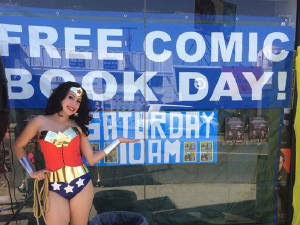 Dig That Box celebrates Free Comic Book Day 2015 at Golden Apple Comics. It’s a day of friends, fans and free comics! Join us for fun in the sun with special guests Frank Beddor, David Flores, and Wonder Woman! 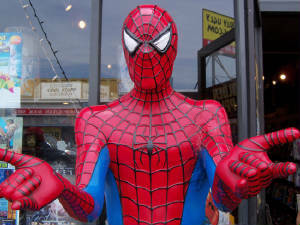 Dig That Box celebrates free comic book day 2014 at Golden Apple Comics. It’s a day of friends, fans and free comics! Join us for fun in the sun with special guests Mark Silvestri and Scott Shaw. In 2014 we celebrated the five year anniversary of our collectible arcade token giveaway. 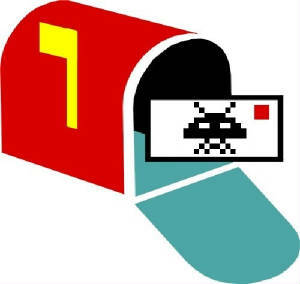 For the past five years we have mailed over 500 arcade tokens to places across the country and around the globe. We also sent 25 incredible prizes to some randomly chosen lucky readers. Here's a look inside our amazing giveaway and a sneak peak at things to come. After months of stuffing envelopes we have completed the 2013 arcade token mailing. This year we shipped 505 envelopes to our fans around the globe. This was the biggest year ever for the arcade token giveaway. Learn about our new design, find out who won the big prizes, and discover all the exciting details of our best promo ever! 2012 Arcade Token Mailing Complete! After months of stuffing envelopes, checking addresses, and making trips to the post office we have completed the 2012 Arcade Token mailing. We shipped 585 envelopes to people across the United States and all around the globe. Here's how everything worked out. Walmart plans to scoop the competition with an early price drop on the Nintendo 3DS. Learn about the back room deals, corporate partnerships, and the long history between Walmart and Nintendo. Also see how some fans plan to take advantage of the Nintendo Ambassador Program. 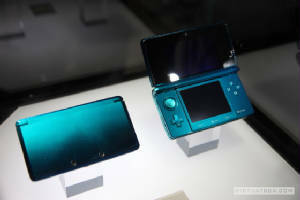 Nintendo has finally announced the price and launch date for the highly anticipated Nintendo 3DS portable game system. We bring you every detail straight from the 3DS conference in Japan. 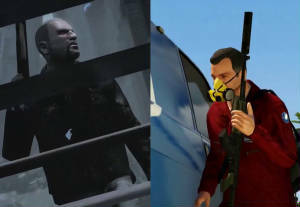 Also see images and videos from the event, including video footage of some explosive new titles. Click the link to learn all the exciting new details! Is the Nintendo 3DS launching this November? Here is everything we know so far. We cover every rumor, every leak, and every fact available. We also expose a new development on the retail front. 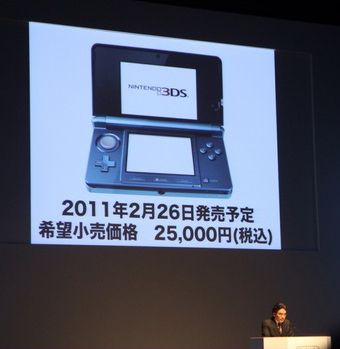 Also see videos from e3 2010 and read a list of possible Nintendo 3DS launch titles. This story even includes a countdown timer to the final 3DS reveal. The GamesCom Convention begins this week in Cologne Germany. The highly anticipated event kicks off with a major press conference being held by the Sony Corporation. 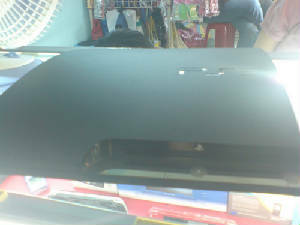 Could this finally be the official unveiling of the much rumored PS3 slim? We examine the rumors, expose the viral marketing, and give you the facts you wont read anywhere else! THE LOST XBOX KID PICS! Ever since we launched our underground Art Gallery it has been one of our most popular features on this site. For the past several months our loyal readers have been sending us pictures that were missing from our massive collection of Xbox Kid images. These are the lost Xbox Kid photos! See them now before we close up this gallery and move on to a new subject. This is the last stand of the Xbox Kid! Classic Gaming Expo 2010 Arcade Token Give-Away!! In honor of the 2010 Classic Gaming Expo our fearless leader will be giving away free Arcade Tokens at the show. This is the last of the tokens we created especially for the 2010 convention circuit. Click the link to learn how to get your free arcade token. See you at the Expo! 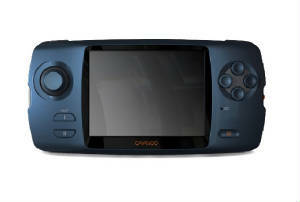 This month Game Park Holdings will release their newest creation, the GPH CAANOO. 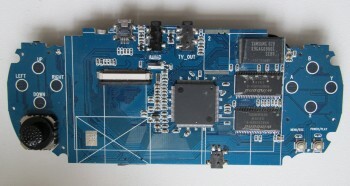 GPH is very confident in their new product, and with good reason, their previous hardware has developed a loyal following. This time GPH is setting their sites on Nintendo, with hopes that they will capture 1% of Nintendo's coveted portable market share. Will they achieve this lofty goal? Real on and find out. Our newest writer busts the mythos behind the World's most famous music festival. Is it really worthy of all the praise? And who was the real star of the show? If you ever listened to an old hippy tell you how much they loved Woodstock this article is for you! 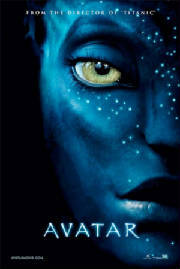 Read our review of James Cameron's Avatar! Was it worth the wait? Does it live up to all the controversial hype? Read on and learn the truth! We just received word that the folks over at Dingoo Digital USA have released the hardware specs for their new portable game system. 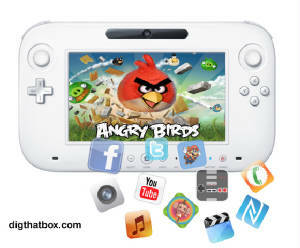 Click the link for all the details on this promising new handheld. Reports have been coming in from all over the United States. 7-11 has jumped into the used video game market. The popular chain has already been selling new video games for the past two years. Now it appears the company is moving into the lucrative used video game market.